I celebrated Chinese New Year Friday night at Cafe Evergreen in New York City with Lisa Carley and a number of her friends. We each brought different bottles of wine to pair with the foods. I brought Prosecco because I recently gave a presentation in which I underlined how the wine can pair with all different cuisines. I wanted to put my money behind my words. 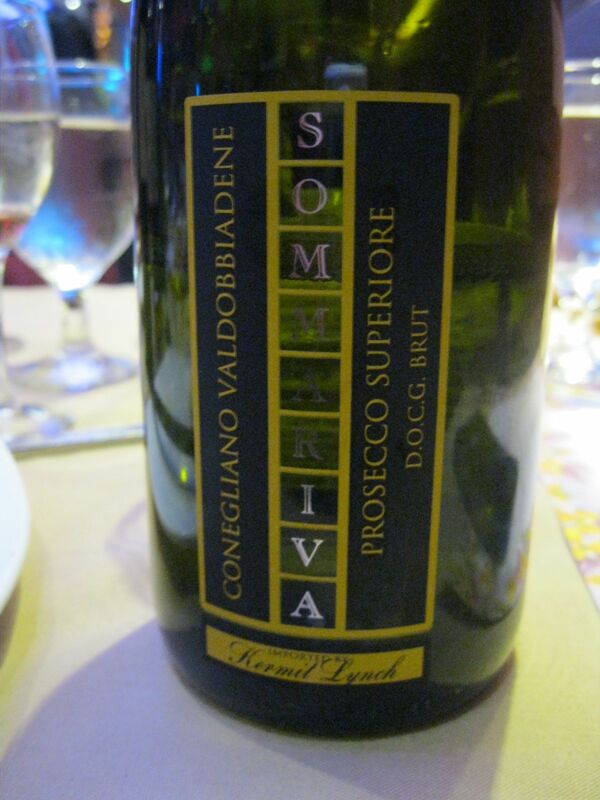 I brought a Prosecco Superiore DOCG from Conegliano Valdobbiadene from Sommariva It was a Brut version of Prosecco, meaning considerably drier than an Extra Dry, oddly enough. It paired very well with parts of the 10-course meal. Its’ low alcohol, 11.5%, meant it went well with the delicate Lobster dish as well as the Steamed Scallop. However what really interested me was the pairing of an Extra dry Prosecco from Ca’ Furlan Cuvee Beatrice and certain other elements on the menu. That too, with its residual sugar was a nice match for some of the spicier dishes. I particularly liked it with the seafood bisque. The meal also had the traditional Lion’s dance. 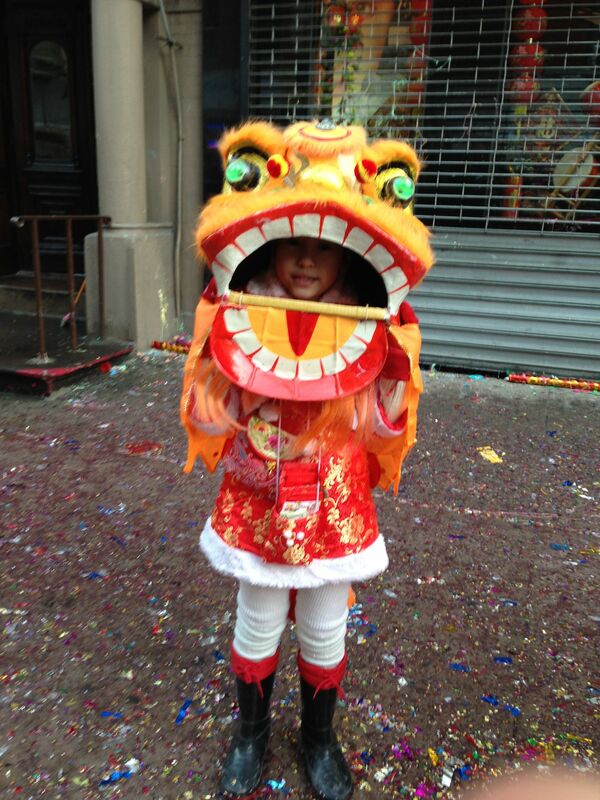 My pictures didn’t come out too well but this one did last weekend in Chinatown. Usually the only wine I find in Asian restaurants are American wines and sometimes a Riesling. We know that Riesling pairs well with many dishes but I wanted to see if the Prosecco could also do the job. I was not disappointed I am pleased to say.